Simple but elegant traditional flat band set enhanced with designer's touch. 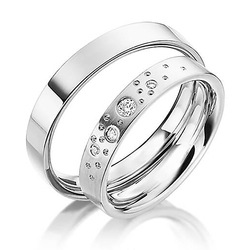 Solid band is accompanied with sparkly, brilliant cut diamond set half way around. 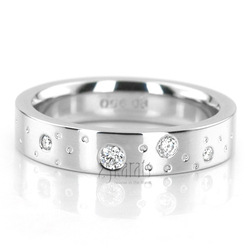 Our designer burnish set 0.10 ct. t.w diamonds and add diamond cut circles like the starts in a beautiful night. Total Gram Weight*: 18.54 grams. Diamond size 1: 2 pieces x 1.3mm Round cut with Burnish Set - G/H Color - SI1 Clarity - 0.02 ct.tw. Diamond size 2: 1 piece x 1.8mm Round cut with Burnish Set - G/H Color - SI1 Clarity - 0.025 ct.tw. 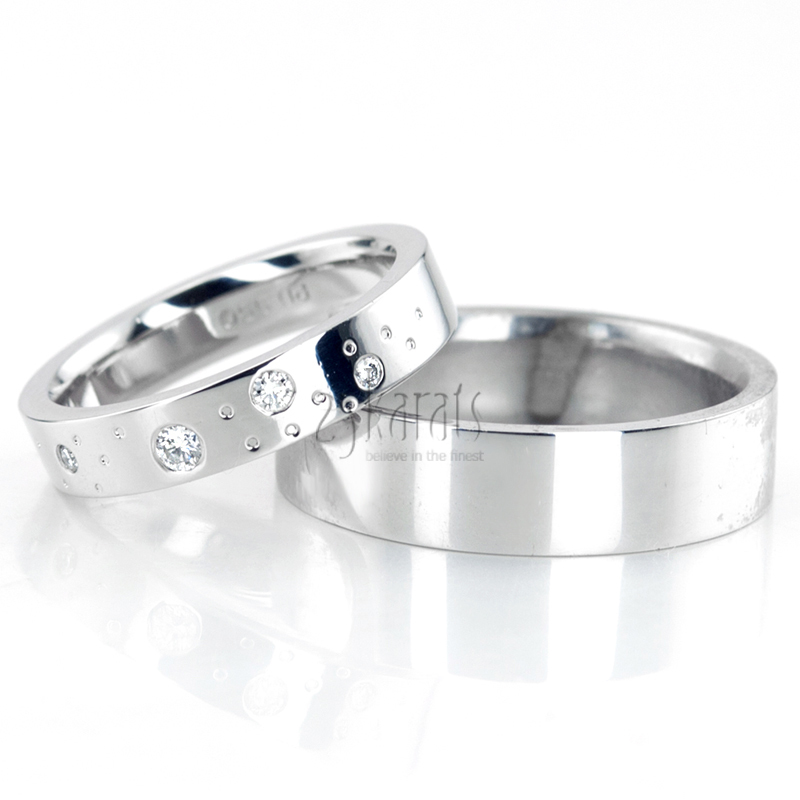 Diamond size 3: 1 piece x 2.2mm Round cut with Burnish Set - G/H Color - SI1 Clarity - 0.04 ct.tw.